Chess Assistant 8.1 is a unique tool for managing chess games and databases, playing chess on the Internet, viewing electronic texts, studying openings, analyzing games, or playing chess against the computer. Chess Assistant 8.1 includes a database of 2,710,000 games that can be automatically updated through the Internet each week with 2,500 new games . Entering games is possible, as well as adding databases in CA, PGN or CBH formats whilst removing any duplicate games. The Chess Opening Encyclopedia 2005 mode includes rich theoretical material on all the openings, more than 8,000 annotations from GM Kalinin and 500,000 expert evaluations to key opening positions. An access to the opening encyclopedia is improved thanks to a new revolutionary mode - Opening Tables, which presents the theoretical material in a familiar form of the encyclopedic table and allows you to replay the opening lines on the chessboard. You can annotate theoretic lines using a new facility for adding\editing variations. 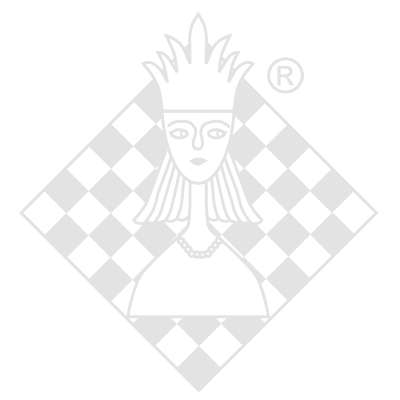 For middlegame studies, the program provides analysis by a wide variety of chess engines. Built-in playing programs Chess Tiger 2004, Ruffian, Delfi, Crafty and Russian Dragon . Broad opportunities for play and analysis are provided: deep automatic game analysis mode, multi-variant and background analysis, etc. Facilitated with an easy-to-handle drag and drop interface plus a navigation/database browser window, which really - should be - standard for programs of this type. There are also (self understanding for our standards) tools for keeping player and tournament names consistent, and removing doubles from your collection at the highest possible speed and correctness, the entire Market offers at present. And of course, all sorts of search tools at your disposal, like searches for material, pawn structures, positions, players, sacrifices, piece movements, statistical analysis, etc. Internet Chess Assistant Club mode - playing through the Internet for free, scheduled tournaments with prizes (from blitz to correspondence), chess training, special chess mail service, Internet access to databases, online-support for Chess Assistant 8 customers, etc. And as chess playing itself is concerned, you can use Chess Assistant 8 in combination with its built-in engines (Chess Tiger 2004, Ruffian, Delfi, Crafty and Russian Dragon ), or with a wide, additional variety of other engines (Shredder 6, 7 or 8 , even Winboard engines). Apart from all of these features, Chess Assistant 8.1 Mega Packet includes Correspondence database with 260,000 games and MegaCAP (additional 1 CD), Nalimov Endgame Tablebases (on 3 DVDs) and Commented Game Service 2004-2006 . Chess Assistant 8.1 Mega Packet includes 4 CDs and 3 DVDs. System Requirements : IBM-compatible PC, 128 Mb RAM, hard disk 2Gb, Windows 2000/NT/XP, DVD-ROM drive. No additional software required.